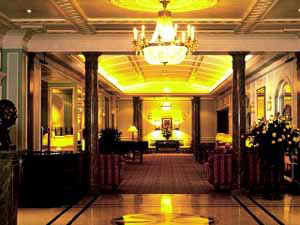 is a hotel of supreme luxury boasting a nine million - pound refurbishment in 1994. 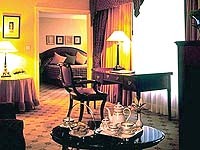 It provides all the amenities that one would expect from a five star hotel. The ambiance is extremely restful as the hotel is superbly situated on a leafy garden square near Marble Arch, Hyde Park and Oxford Street. Connections are excellent with Marble Arch Underground Station and bus stop both within 5 minutes walk. 19 movie and satellite channels. Outdoor - floodlit tennis courts.